HERE IT IS! 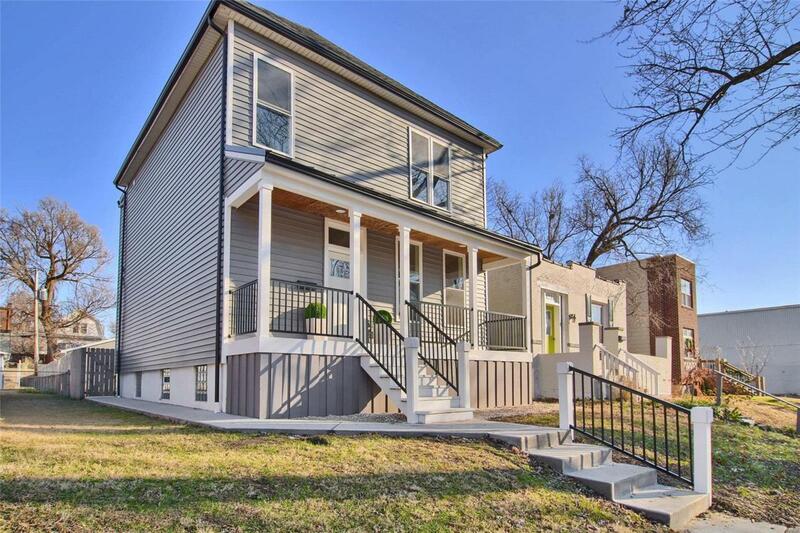 THE TOWER GROVE GEM YOU'VE BEEN WAITING FOR! 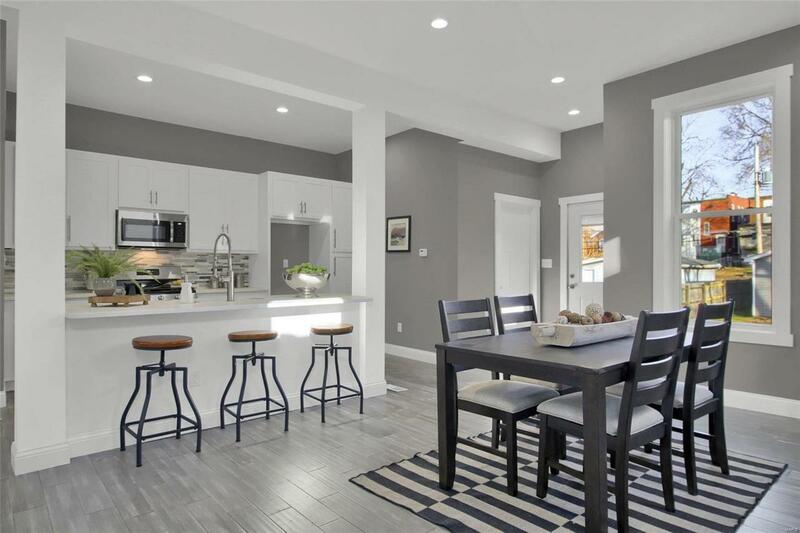 THIS SPECTACULAR HOME HAS BEEN COMPLETELY RENOVATED! 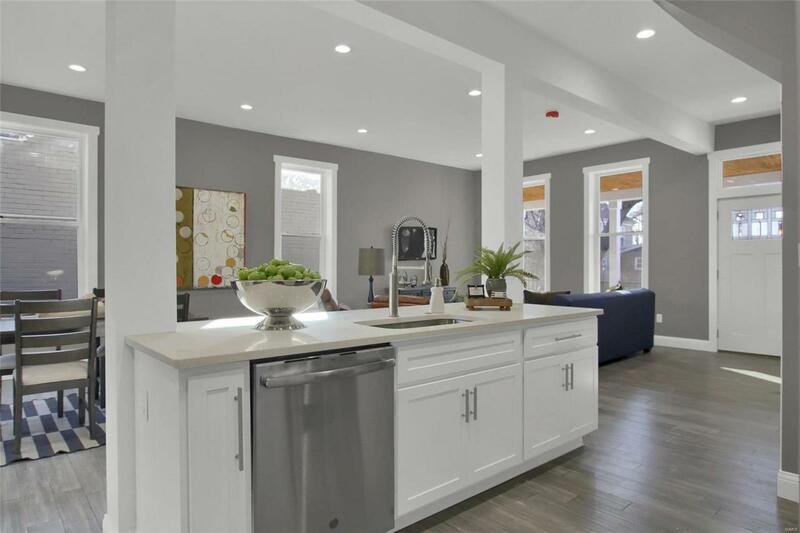 THIS 2.5 STORY HOME FEATURES 3 BEDRMS & 2.5 BATHS! YOU WILL LOVE THE OPEN FLOOR PLAN THE MOMENT YOU WALK IN THE DOOR! THE MAIN LEVEL HAS SOARING 10' CEILINGS COMPLETE W/ CAN LIGHTS THROUGHOUT! IT HAS ENGINEERED PLANK FLOORING ON THE MAIN LEVEL & A KITCHEN TO DIE FOR! THE KITCHEN FEATURES 42" CABS W/ QUARTZ TOPS, A LG ISLAND, SS APPLIANCES W/GAS RANGE! THE 2ND & 3RD LEVELS HAVE 9FT CEILINGS & 3 HVAC SYSTEMS=MAX COMFORT! THE 2ND LEVEL FEATURES: A MASTER BEDRM STE W/A GORGEOUS & SPACIOUS TILE SHOWER W/RAIN HEAD, DBL ADULT HEIGHT VANITY W/GRANITE TOP & SEP TOILET ROOM! THE 2ND BEDRM, A FULL BATHRM W/TILE SURROUND & LAUNDRY CLOSET. THE 3RD LEVEL HAS A SITTING/OFFICE/PLAYROOM & VAULTED 3RD BEDROOM! 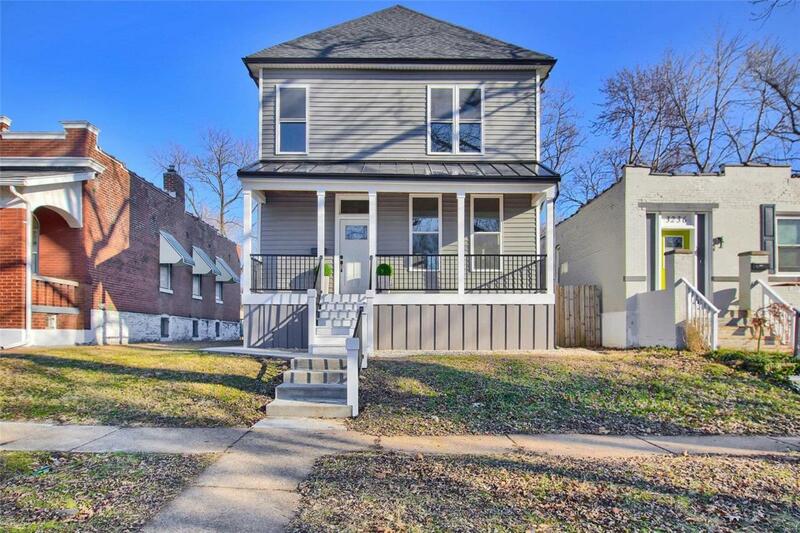 THIS WONDERFUL PROPERTY HAS A LEVEL, FENCED YARD W/ STAMPED PATIO, NEW 2 CAR GARAGE W/ELEC, NEW SLATE GRAY SIDING, NEW ROOF, METAL ROOF OVER PORCH, NEW ELEC, PLUMBING & ALL NEW WINDOWS!